We needed no excuse to get a Bahn Mi. As always, it’s a great sandwich for $8.50 per serve. Although we had planned meatloaf, the day got away and we ran out of time. 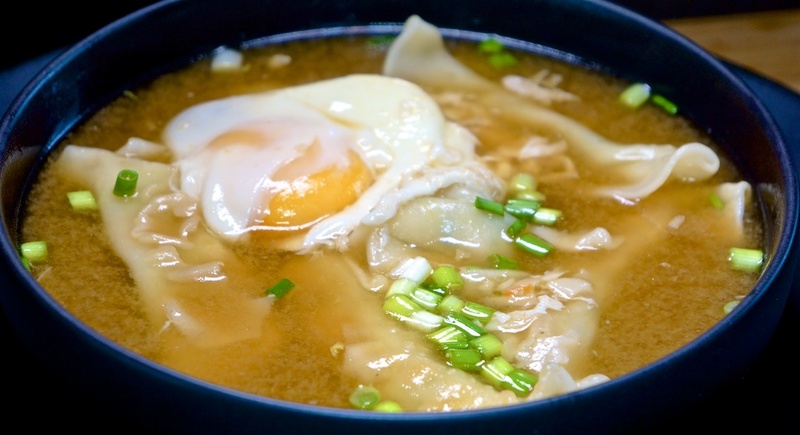 Our fallback combo is mostly from Trader Joe’s: Frozen Vegetable Gyoza and Ginger Miso Broth. We poached an egg in the broth for protein and unctuousness. A pastured egg is 50c. Tonight’s meal was excellent. Really tasty and full of Thai flavors for $3.70 per serve, and on the table in about 20 minutes.